Many articles I write come across as quite ambitious and not a little solemn. 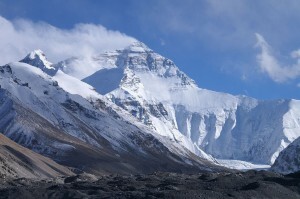 Reading articles such as The kamikaze approach to learning Chinese or Benchmarking progress to stay motivated, it might seem like I’m a robot that views learning Chinese simply as a difficult mountain to scale, and that reaching the top as quickly as possible is the only thing that matters. Even though we all have our different ways to climb, I think it’s safe to say that most of us want to improve and learn more, whatever goal we’re striving for. Some long-term goals take a very long time to accomplish, so simply aiming for the top and trudging on is not only daunting, I think it’s impossible for most people to keep up in the long run. Therefore, in this article I will talk about why I think rewards in the short-term perspective are absolutely essential when learning anything. Another way of saying that is that you need to have fun if you hope to reach the top of the mountain. Come on, my friends, let’s make for the hills. They say there’s gold but I’m looking for thrills. ‘Cause I’m only coming along for the ride. Personally, I started learning Chinese simply because I found it interesting and I wanted to see what it was like. I wasn’t interested in reaching the top of the mountain and I sure wasn’t interested in finding gold. I was only coming along for the ride, so to speak. Then, the more I climbed, the more I found that the climbing itself was fascinating. I discovered that the challenge of learning Chinese in itself was more interesting than anything I had tried before. After spending many years on the mountain, I’ve become interested in climbing ever higher, not because I think there is a pot of gold at the top, but because I’m curious to find know all the different parts of the mountain. I’ve taught a number of introductory courses in Chinese, usually for people who will study several years of Chinese integrated in other university programs. Each time, I ask people why they want to learn Chinese, partly because I’m curious and partly because I think it’s important that they know why they are studying. A significant number of students say that they study Chinese to find better jobs, earn more money or add a feather in their caps in some way. In other words, they’re climbing the mountain to find the pot of gold. Some of these students, when I ask them why they chose Chinese and not another language, they refer to the rise of China, which doesn’t come as a surprise at all. However, this tells me that what they are doing is really trying to climb a really high mountain simply to find gold at the top. I think that most people can’t force themselves to do something for many years simply to achieve something at the end of that period. Yes, if your life depended on it, I’m sure you could do it, but for people living in fairly comfortable, developed societies, the motivational force just isn’t strong enough. Fortunately, this isn’t really a problem. Why not study for the thrills and the gold? There is nothing that says that you can’t study Chinese both because you think the progress is interesting in itself and because you want to find something at the top of the mountain. I personally know that I need both to be happy with my studying and my life. I study Chinese because I think it’s fascinating, but also because I want to use Chinese professionally in my career. I want to reach a certain level and I want to do it relatively quickly, not because it’s a goal unto itself, but because it opens other doors for me, perhaps with new, different mountains to climb. I won’t talk more about gold in this article, neither real nor metaphorical gold, but I will talk more about thrills and the journey itself. This cliché is old as the mountain itself. However, looking closer at it, there is more to it than most people think. If we hope to scale a high mountain, isn’t it going to be a lot tougher if we think that every step (or misstep) along the way is a pain? Each time we take a wrong turn or get stuck somewhere, it would count as lost time. Frustration and increasing pressure. But if we flip the coin and regard the journey as the essential part of the climbing, everything we do on the mountain becomes interesting it itself. We are all different and what counts as enjoyable is highly subjective. There are many, many ways of learning Chinese and it’s obvious that we should choose methods that we enjoy. The important thing is that we have to enjoy what we’re doing, because otherwise the journey up the mountain will kill you rather that thrill you. As I’ve already said, “enjoy” is a vague word, but what I mean here is that when you study Chinese, you have to find ways that you genuinely enjoy. If you don’t, your learning will either be a source of great stress and frustration or you will fail and abandon the task altogether. If you like playing games, why don’t you try to find Chinese versions of the games you play? I’ve recently played some StarCraft 2 in Chinese, which allows me to combine something I like (playing computer games) with learning Chinese. The result is so awesome that I’m probably going to write an article about it. If you like music, why don’t you make music a source for learning Chinese? 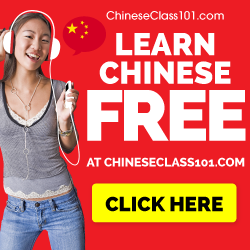 Try finding artists playing the kind of music you usually like (even though some genres are less popular in China, you can almost always find something) and use the lyrics as a source for learning the language. If you like fashion, why don’t you start following some related blogs, written in Chinese? Of course, it might take you a while to understand everything if you’re a beginner, but the idea is that you read the blogs because you like it, not because you want to achieve something in the long run. I could make the list a lot longer, but I think the idea is clear enough. Balancing enjoyment and progress might be difficult, but my advise in general is that enjoying yourself is more important than making hasty progress. 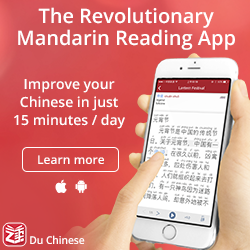 If you’re going to read a book in Chinese, choose something which avoids drowning you in difficult words (if that stops you enjoying the book) and which allows you to enjoy the reading instead. If you want to improve your listening ability, find material you’re genuinely interested, don’t force yourself to just listen to textbook audio. I know that many learners of Chinese do have clear goals of what they want to learn (I have, too). However, that doesn’t mean that you can’t enjoy yourself along the way. I don’t say that the journey is important because it sounds fancy, I do it because I think it’s an essential part of a healthy attitude towards studying. 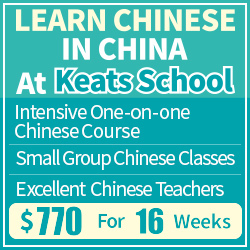 Learning Chinese to an advanced level takes thousands and thousands of hours of hard work. If you hate every second of it, are you really likely to invest the time necessary to succeed? What if you love at least a significant part of that time? If you can make studying become interesting regardless of what the final destination is, you have achieved something marvellous which will allow you to reach your goal. As you can see, there is possibly a paradox here. If we focus only on the destination, we will fail because the road is too long and we need something in the short-term that will keep us motivated and keep our spirits high. If we focus only on the journey, we risk getting lost and not finding our way up the mountain at all. This might be an acceptable outcome for some people, but for others, enjoyment alone is not enough. Personally, I think that this doesn’t need to be a paradox and that we can find ways to do both most of the time. Sure, we might not enjoy every second of studying, but neither should we prioritise advancing quickly over enjoying what we’re doing. The key to learning anything to a high level is finding ways to practise that focus on both the journey and the destination simultaneously. If you hope to master Chinese, I think that is what you should do. My motivations for learning Chinese have changed over time. The first time I tried Mandarin I gave up in a week – I was mainly motivated by curiosity at that time, and the introductory materials I encountered were boring, so I moved on to a more interesting pursuit. However, I had wanted to live abroad for a long time, and [insert long story] I ended up picking Taiwan as the place I wanted to be, that’s why I started to seriously study Chinese. Of course, once I got past the beginning stage, I started to actually enjoy studying Chinese in its own right – reaching intermediate level certainly opens up quite a few paths on the metaphorical mountain. My two favourite ways of studying Chinese are manhua and music. 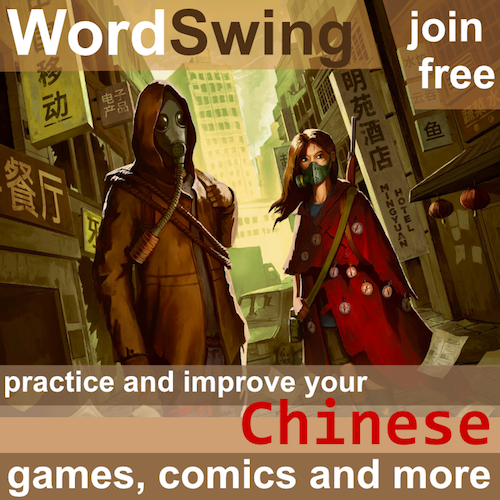 I have been reading comic books ever since I could read, so manhua was the obvious way to practice reading (and there is some great stuff that is available in Chinese which has never been published in English). And I have discovered that I really like Taiwanese pop music from the 70s and 80s. I mostly listen to Mandarin-language Taiwanese pop (for obvious reasons), but I plan at some point to expand my collection of Taiwanese pop music in languages other than Mandarin, whether or not I ever study those languages. It is very sweet when, after listening to a song many times, I suddenly realize – “Hey – I actually understand what the singer is saying!” (I look up lyrics when it’s a song I really love, but usually I prefer to sit back, listen, understand whatever I understand, and enjoy). My greatest improvements in Chinese come about when I forget about the language and just focus on meaning. That means I don’t stress out when I don’t know every word in a conversation or movie or song. I try to enjoy what I understand and tell myself that if I am patient enough, things will make more sense with time.